It's SuperSauce! The new tomato superhero. A whole lot bigger, a whole lot better, a Roma with aroma. Weighing in at 2 lb., a whopping 5.5" tall x 5" wide, SuperSauce produces gallons of luscious sauce from a single plant harvest - one tomato fills an entire sauce jar. 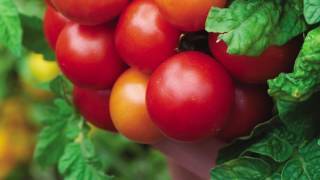 Very few people in the gardening world consider a paste tomato for anything other than making paste or sauce. SuperSauce also makes a superlative salad tomato; it's perfect for a meaty and tasty hamburger slice too. Indeterminate, disease-free plants yield a summer-long supply of the exquisitely flavored marinara, tomato gravy or meat sauce plus plenty for salads and slicing. SuperSauce takes 7-12 days to germinate. Tomato, SuperSauce Hybrid is rated 3.7 out of 5 by 329. Rated 2 out of 5 by Richard1235 from Seedlings not Hardy like other tomatoes. The mid section of the lower stem rotted. I had a 70 to 80% die off on the month old plants. Other varieties did great. I may try again next year. It could have just been a bad batch of seeds. All other Burpee products have been great. Rated 5 out of 5 by Anonymous from Great for marinara I've been using these for 3 years now. Still love them! Rated 1 out of 5 by Jjmm44 from Bad seeds I don’t know if I got some bad seeds or what, but 90% of the seeds in this packet germinated then died. I have several varieties, all Burpee brand, that are growing in the same conditions. The other varieties are doing fine. It is suspicious that only the Supersauce seeds aren’t surviving. The attached picture shows the seedlings that are dying and the seedlings that have already died. You can see the other seedlings are doing okay. Rated 5 out of 5 by DVD67 from Big Tomatoes. Good Yield. My wife bought one of these when she was picking up plants for me. I never heard of it but with one plant I had a lot of good luck. Most of the tomatoes were in the 1.5 to 2 lb range. Made a really good sauce and I got quite a lot from a single plant. Rated 3 out of 5 by Dakota Mater from Tough Year for Tomatoes In SD These did not perform great this year, but in their defense no tomatoes did this year in South Dakota. Talking with a bunch of other people, everyone struggled to produce tomatoes. With that being said, the ones that I did get were large, but not as large as 2 pounds. I would say they were double the size of a typical store roma. Overall production was minimal, but again I think that was more weather related than seed related. Hopefully next year is a better tomato year! Rated 5 out of 5 by Fine2 from Huge tomatoes Tried a lot of Roma types of tomatoes because I love to make can sauce, tried the Supersauce for the first time this past summer and they are enormous, so heavy the vines could hardly hold them up, these make wonderful tomato sauce, they are very large, sweet tomatoes. 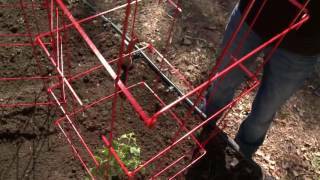 If you like to make tomato sauce or salsa you will love these tomatoes, but you will need to put them in cages to help hold up the vines, they get very heavy. Rated 5 out of 5 by cartom from Super Sauce tomatoes I grew this tomato this year and had great results. It is a large sauce tomato that most tomatoes had a small core and very meaty. Great taste. It is a great canning tomato.